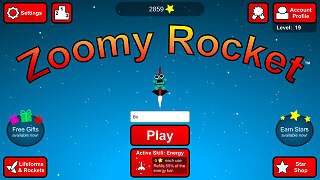 Zoomy Rocket is an addictive, action packed, endless arcade space game where you navigate your lifeform strapped to a rocket deep into space. 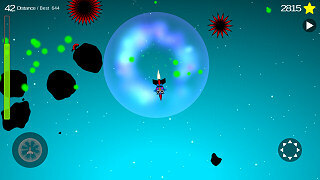 Collect stars, energy, and save other lifeforms lost in space while avoiding asteroids and the enemy onslaught. More About The Mobile Game! You can use a shield to help protect against projectiles. 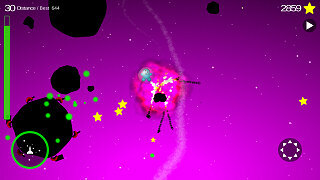 Use a burst of energy to disable enemy seekers and to push asteroids away. Blast the afterburner with the boost skill to go superfast and give you that increase in speed when you need to escape an enemy seeker. Use the energy skill to refill some of your energy when you need it most. Avoid all asteroids and enemy seekers as rockets are highly volatile. If you run into a asteroid or a seeker catches you your rocket will explode and your poor little lifeform will be lost in space forever floating in a space bubble until someone comes to the rescue. Help all those lifeforms lost in space by saving them all whenever you see them. You never know when you will find a new one! 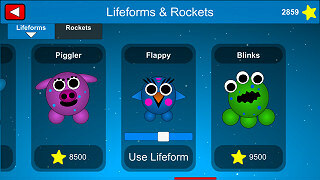 Use your stars to obtain other exciting lifeforms, customize your lifeform, and customize your rocket! There are 20 exciting and unique lifeforms to choose from with more added all the time. 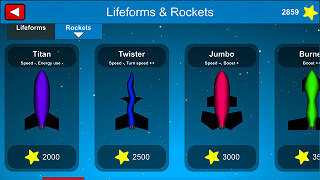 Earn over 10 different rockets with different skills. So much of the game is customizable. You can change the game background color, the color of your lifeforms, and the color of your space rockets. 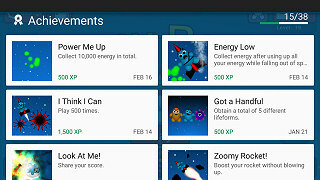 Compare your score with friends and family on the leaderboards and see who really is the best at Zoomy Rocket. Fly your rocket to earn great achievements and rewards. Do you have what it takes to fly further than anyone else? Strap yourself onto a Zoomy Rocket and prepare for takeoff! *** Be on the lookout for an incredible new multiplayer experience that is in the works! Play on your mobile phone or tablet today using either iOS or Android! Download the game today! Want to be the first to know about awesome new Zoomy Rocket features? Follow us to find out! Copyright © 2017 Infused Logic. All rights reserved.